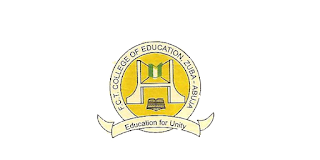 FCT College of Education Zuba – Abuja Full Time National Certificate Examination [NCE] Post-UTME Admission Screening Exercise, Entrance Examination Schedule for 2018/2019 Academic Session. [Cutoff Mark: 130], Eligibility and Application Guidelines. This is to notify candidates who apply for Admission into College of Education Zuba – Abuja, that the College management have fix the date of the screening exercise in respect of 2018/2019 Admission is scheduled to hold Monday August 27th, 2018. The Jamb Cut – Off Marks for the College is 130. Therefore, all potential candidates who have choosen the College has their first choice can come forward for the screening and for does who choose the as their third and second choice should please go and make a change of Institution and also the course to College of Education Zuba Abuja in other to avoid delayed of shortlisting your name on the first list or getting the Admission early. All candidates are to present the following particulars at the point of their screening exercise in their various Department.